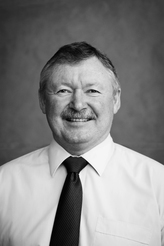 Professor Barney Glover AO assumed his position at Western Sydney University in January 2014. Professor Glover is currently the President of the Board of Trustees of the Museum of Applied Arts and Sciences Trust and the Australian Government representative on the University of the South Pacific Grants Committee. 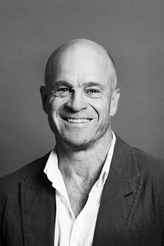 He is also a Board Member of the Australian American Fulbright Commission, and the Committee for Sydney, and, Member of the NSW Innovation and Productivity Council and the NSW Arts and Culture Advisory Committee. 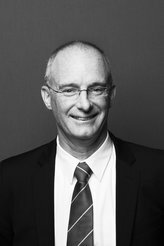 Professor Glover is an Officer of the Order of Australia (AO), a Fellow of the Academy of Technological Sciences and Engineering (ATSE), a Fellow of the Royal Society of NSW (FRSN), and a Member of the Australian Institute of Company Directors (MAICD). Professor Glover’s esteemed career includes significant expertise and experience at the most senior levels of university management and substantial business leadership credentials. He has also served on the boards of a range of corporate organisations and several state and national centres covering areas such as health and medical research, energy, mineral exploration, and telecommunications. Professor Holmes joined Western Sydney University in March 2014 and in 2017 his portfolio expanded to include engagement and international. In 2018 he was appointed the Senior Deputy Vice-Chancellor. He has held various senior positions in Australian Universities and in 2006 was the Business Higher Education RoundTable Entrepreneurial Academic of the year. 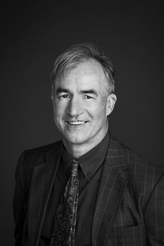 Scott is an active researcher and is a Professor of Public policy in the Whitlam Institute, Western Sydney University, Adjunct Professor University of Economics Ho Chi Minh City Vietnam and Honorary Professor University of Queensland. Professor Denise Kirkpatrick has been appointed as the Deputy Vice-Chancellor and Vice-President (Academic) at Western Sydney University. A highly regarded academic and educational leader, Professor Kirkpatrick was previously Pro Vice-Chancellor (Student Experience) at the University of Adelaide. 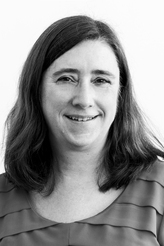 Professor Kirkpatrick holds a PhD and is recognised internationally for her scholarly contributions in the fields of technology enhanced learning and quality assurance in higher education. 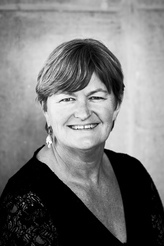 Professor Deborah Sweeney is the Deputy Vice-Chancellor Research and Innovation at Western Sydney University. She provides leadership and guidance to achieve the University’s strategic priorities for research and innovation and focusses on quality assurance and enhancement.In addition, she is responsible for supporting the research portfolios within the Schools and Institutes. 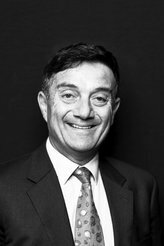 Angelo Kourtis has been a member of the Western Sydney University community since 1986, as a student, graduate and as a member of staff. Commencing as a University staff member in the role of Course Information Officer in 1992, he held a number of senior marketing and student recruitment roles before being appointed to the position of Pro Vice-Chancellor (Students) in October 2011 and Vice-President (People and Advancement) in March 2015. 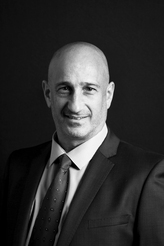 Angelo has led the development and refinement of the student lifecycle strategy at Western Sydney University. This strategy seeks to reflect the long term 'journey' students embark on when aspiring to higher education. Angelo is a member of the University Executive team, a member of the Academic Senate, the Senate Education Committee, and is on the Board of Directors for TVS (Television Sydney) and The College. 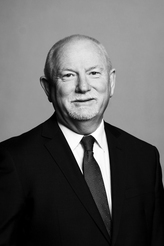 Peter Pickering was appointed Chief Financial Officer in August 2011, and Vice-President (Finance and Resources) in January 2015. 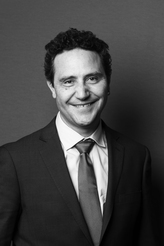 Prior to this he was the Director of Finance, having joined Western Sydney University in November 2009. 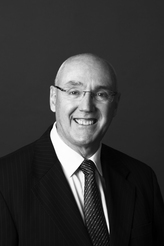 Peter has enjoyed an extensive and varied career in a variety of senior management positions with major Australian and international corporations. Prior to joining Western Sydney University, he spent 15 years in the telecommunications industry, primarily with Telstra but also with international joint ventures in Korea and Indonesia working with NTT, Sumitomo, Indosat and Pohang Iron and Steel. 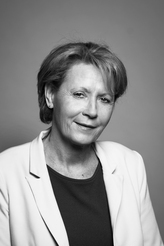 Associate Professor Linda Taylor joined Western Sydney University in August 2014 as Pro Vice-Chancellor (International). Linda joins Western Sydney University at a critical time, when the University is looking to expand its international horizons and profile. A public policy expert with 20 years of experience working across industry, government and the education sectors, Linda brings a wealth of experience to the role. In her previous position, as Acting Director of StudyNSW, Linda was responsible for delivering key international education initiatives for NSW, including priorities identified in the International Education and Research Industry Action Plan. Professor Simon Barrie is the inaugural Pro Vice-Chancellor Learning Transformations at Western Sydney University. He is responsible for the leadership of strategic educational innovation and collaboration to shape the University's commitment to ensuring its students fulfill their potential to become influential global citizen-scholars in a new technology-enabled world. His expertise is in innovatively engaging university communities to deliver new ways to enact the 'idea of the university' in a rapidly changing world. Professor Barrie has worked in the field of Higher Education for 25 years and is an award-winning teacher with an international reputation for his research on the transformative potential of higher education. Professor Kevin Bell comes from Newcastle in the UK, taking his B.Sc. in Analysis of Science and Technology from Manchester University before spending two significant periods of his professional career overseas. After nine years in Japan where he taught English in High Schools and at a private language school and led a Corporate training programme, he moved to the United States in 1999, initially to take his Master of Arts in Teaching at Marlboro College in Vermont. Post graduation, Professor Bell's dot.com work segued into academic leadership roles most recently at Northeastern University in Boston. At Northeastern University he headed the Online Experiential Learning group and served four years at Northeastern as Executive Director. He also wrote and led a federal First in The World grant building the Lowell Institute Innovation Incubator (Li3) researching intrinsic motivation of under-represented minority groups in US Higher Education. 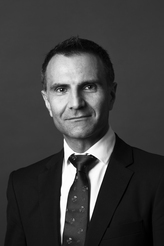 Professor James Arvanitakis is the Pro Vice Chancellor (Research and Graduate Studies) at Western Sydney University. A lecturer in the Humanities and a member of the University’s Institute for Cultural and Society, he founded The Academy at Western Sydney University that received an Australian Financial Review Higher Education Excellence Award (2016). Professor Arvanitakis has overseen the establishment of our sector-leading Master of Research program, increased HDR enrolments and the number of scholarships awarded. As the former Dean of the Graduate Research School (between 2015-18), he embedded a renewed and distinctive research culture and sense of community amongst the research candidates of our University continuing the core mission of the University to be ‘student centred and research led’. He continues his high level of community engagement as a regular media commentator, researcher (having published having over 100 academic and non-academic publications) and work with artists. A founding member of the University’s Ally program, he is the Chair of Diversity Arts Australia, a board member of the Public Education Foundation, a research fellow with the Centre for Policy Development and an academic fellow of the Australian India Institute. Professor Yi-Chen Lan is the Pro Vice-Chancellor, Global Development and Professor of Information Management at the Western Sydney University. Yi-Chen holds a Bachelor of Commerce (Honours) degree and a PhD degree from the same institution. Yi-Chen is responsible for developing high value international partnerships through maintaining close relationships with government agencies and flagship institutions across the world particularly in the East and South East Asia. In recognition of Yi-Chen’s contributions to the international and cross border education development in Vietnam, the University of Economics, Ho Chi Minh City conferred an Honorary Doctor of Economics degree to him in May 2014. Yi-Chen’s main research fields include knowledge management, e-marketing, global transition process, business process reengineering, green ICT, carbon emissions in business processes and production, big data strategies and life cycle assessment. 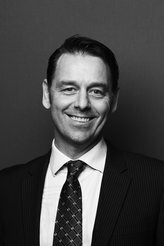 Michael Burgess joined Western Sydney University in February 2016 as the Chief Student Experience Officer and brings more than 20 years of leadership experience in complex consumer environments. Michael is a creative innovator with extensive experience in business strategy, customer experience, marketing communications, digital strategy, brand development and data analytics.From 2008-2015 he was the General Manager, Marketing at Weight Watchers Australia and New Zealand and between 2005-2008, Head of Corporate Strategy at NRMA Motoring and Services, initially starting as Head of Marketing in 2001. 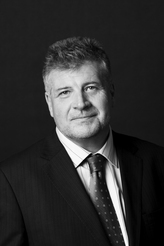 These roles provided Michael with invaluable insights into the marketing sector and business leadership. Michael joins the University at a critical time, when the core goal underpinning the University's Securing Success 2015-2020 Strategic Plan is to be a distinctively student-centred University. Michael will champion this goal and help provide the vision and leadership to transform and enhance our students' experience. 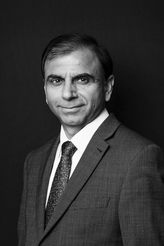 Professor Amir Mahmood joined Western Sydney University as Dean, School of Business in October 2018. He holds a Master and a PhD in Economics from the University of Manitoba, Canada. Before joining Western Sydney University, he was the Pro Vice-Chancellor of the University of Newcastle (UON) in Singapore and the Chief Executive Officer of UON Singapore. With extensive experience in Australian and international higher education systems, Professor Mahmood is an established leader in the area of internationalisation of higher education. Professor Mahmood has an active research track record in the field of economics, business and management and comes with extensive experience in academic leadership. Professor Simeon Simoff is the Dean of the School of Computing, Engineering and Mathematics at the University of Western Sydney. He commenced in this role on 1 January 2012. Simeon was appointed as Professor of Information Technology and Head of the School of Computing and Mathematics at Western Sydney University in 2007. Simeon was previously a Professor of Information Technology at the University of Technology, Sydney, where he was a co-founder and Director (2002-2007) of the e-Markets Research Lab. Prior to UTS he held academic positions at the University of Sydney, the Middle East Technical University, Ecole Polytechnique - University of Nantes, and Istanbul Technical University. In 2006 he was a BIT Professor at the Free University of Bolzano-Bozen and the University of Trento. He is a founding Director and a Fellow of the Institute of Analytics Professionals of Australia and Fellow of the Institute of Engineers Australia. Since 2006 he is co-editor of the ACS Conferences in Research and Practice in Information Technology (CRPIT) series in Computer Science and ICT. From 2000 to 2005 he was the associate editor (Australia) of the American Society of Civil Engineering (ASCE) Journal of Computing in Civil Engineering. He has served on the ASCE Technical Committees on Data and Information Management, and on Intelligent Computing. He is member of the Australian Council of Deans of ICT, Australian Council of Engineering Deans, and Australian Deans of Built Environment. 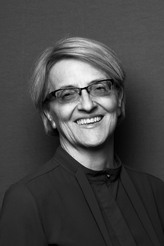 Professor Simons joined Western Sydney University from the University of South Australia where she had worked in a number of leadership roles in the School of Education, including a three and half year term as Dean and Head of School. She has qualifications in Human Services and Adult and Community Education and a PhD from the University of South Australia. Professor Simons is an active researcher, having won a number of Category 1 grants from the ARC and from the National Vocational Education and Training Research and Evaluation Program. Her research interests include workforce development in education, learning in workplaces; educational leadership and policy and practice in vocational education and training. Professor Simons is President of the Australian Vocational Education and Training Research Association (AVETRA) and Treasurer for the Australian Association for Research in Education (AARE) and the Council for Humanities, Arts and Social Sciences (CHASS), Professor Simons is also a member of the Academic Board for Le Cordon Bleu. She has had experience serving on a range of government committees including the South Australian Teacher Education Taskforce and various state and federal government advisory groups for education and family services. Professor Peter Hutchings is the Dean of the School of Humanities and Communication Arts. His research interests are in cinema, critical legal studies, literature, and philosophy.He has held a number of senior positions at Western Sydney University: Head of School of Humanities and Languages (2010–11), Associate Dean (Academic) for the College of Arts (2001-2008), Head of School of Humanities (1997–2002) and Chair of the College Board of Studies (2002-2008), as well serving on the Western Sydney University Academic Senate (2001-8, 2011-). Between 2008 and 2010, he worked in the position of General Manager, Programs and Engagement, for the Australian Learning and Teaching Council, with responsibility for the development of the ALTC's grants, awards, and fellowships. Previously, he has worked at The University of Sydney, the University of Hong Kong and in the Boston University Sydney program. 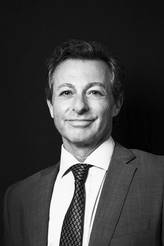 Professor Steven Freeland is Dean of the School of Law and Professor of International Law at Western Sydney University, Australia where he specializes in International Criminal Law, Commercial Aspects of Space Law, Public International Law and Human Rights Law. 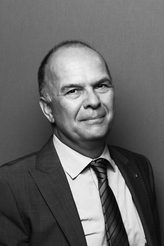 He is also Visiting Professor at the University of Vienna; Permanent Visiting Professor at the iCourts Centre of Excellence for International Courts, University of Copenhagen; Member of Faculty at the London Institute of Space Policy and Law; Visiting Professor at Université Toulouse1 Capitole; Adjunct Professor at University of Adelaide; Associate Member at the Centre for Research in Air and Space Law, McGill University; and a former Marie Curie Fellow (2013-2014). He has been an expert assessor for Government Research Councils in Australia, Canada, The Netherlands, South Africa, Hong Kong, and has taught at Universities in over 20 countries. Professor Annemarie Hennessy is the Dean of Medicine at the School of Medicine and currently holds the position of Foundation Professor of Medicine as well. She is an active obstetric and renal physician based at the Campbelltown Hospital. Annemarie has a research interest in high blood pressure in pregnancy and has active research collaborations with Universities and hospitals in Sydney, Canada and the USA. Annemarie graduated from the University of Queensland in 1985 (MBBS), the University of Sydney in 1997 (PhD) and she has Fellowship of the Royal Australian College of Physicians (FRACP, 1992) and an MBA from the Australian Graduate School of Management (2004). She has held positions in hospital management, clinical service delivery planning and workforce and vocational training with the NSW Department of Health. Annemarie has been a long term advocate for quality post-graduate training and she has taught medical students since 1997. Associate Professor Deborah Hatcher is the Dean of the School of Nursing and Midwifery, Western Sydney University. Her prior roles in the School include Deputy Dean, Operations and Strategy and Director of Academic Workforce, Parramatta. 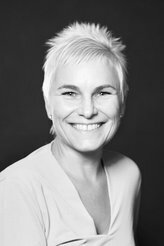 Deborah is a registered nurse and experienced academic with over 20 years of program co-ordination and teaching at undergraduate and postgraduate level, in Australia, Hong Kong and Singapore. Deborah is currently leading the curriculum renewal process for the Bachelor of Nursing, one of the largest undergraduate pre-registration nursing degree programs in Australia. 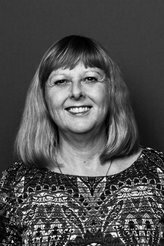 Deborah has worked at the University since 1987 in a number of governance roles including Head of Program Bachelor of Health Science (Nursing), Head of Program Bachelor of Nursing (Graduate Entry) and joint Head of Program Bachelor of Nursing. Her teaching and research interests are in aged care and primary health care. She currently supervises BN (Honours) and PhD students in aged care. Professor Gregory Kolt is the Dean of Science and Health and Professor of Health Science at Western Sydney University. Prior to joining the University at the end of 2006 he was Associate Dean (Research), Professor of Health Science, and Founder and Director of the Centre for Physical Activity and Nutrition Research in the Faculty of Health and Environmental Sciences at Auckland University of Technology, New Zealand. Professor Kolt has an academic background that spans several disciplines including psychology, physiotherapy, sport and exercise science, and education. He holds a PhD in Psychology and has worked extensively in academic and practice settings. His research achievements are recognised internationally with over $5 million of research grant funding and the publication of several books and over 120 journal publications. Professor Kolt's leadership of Science and Health at Western Sydney University has contributed to the significant expansion and strengthening of these areas at the University. Professor Kevin Dunn has been Dean of the School of Social Sciences and Psychology since 2012. He joined Western Sydney University in 2008 as Professor of Human Geography and Urban Studies. His areas of research include the racism and anti-racism, immigration and settlement, Islam in Australia, and local government and multiculturalism. Recent books include Landscapes: Ways of Imagining the World, and his recent articles are published in Analyses of Social Issues and Public Policy, Race and Class, Ethnicities, The Australian Geographer, Studia Islamika, Journal of Intercultural Studies and the Journal of Pacific Rim Psychology. He is a Fellow of the New South Wales Geographical Society and is Vice President. For fifteen years he has lead the national and multi-agency Challenging Racism Project. Kerry joined Western Sydney University in July 2011 and leads the Information Technology and Digital Services department and has university-wide responsibility for Digital Strategy and Innovation, Solutions and Project Services, IT Operations, Digital Security and Risk, Procurement and Planning Services, and frontline Academic and Campus-based support. From 2007 until 2011 he was the CIO for the NSW Department of Human Services, initially starting as the CIO within the Department of Community Services (child protection). Previously, he was the Australian CIO for Digital Equipment Corporation (1996-1998), Compaq Computers (1998-2002) and Hewlett-Packard (2002-2006). This provided him with invaluable insights into the technology sector and the operation of large commercial businesses. Kerry has held positions with the Australian Information Industry Association (AIIA) and the IT Skills Hub. He is Chair of the combined NSW Health and University CIO Forum, Chair of the NSW and ACT University Directors of IT (NAUDIT) and a member of ParraConnect, a smart cities initiative led by the Parramatta City Council. 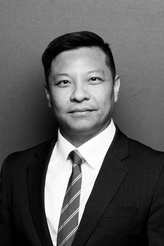 He joined Western Sydney University Executive Committee in May 2015. 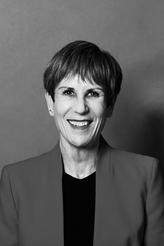 Nicolene Murdoch commenced as Chief Executive Officer at Western Sydney University, The College in July 2018. Prior to joining The College, Nicolene was the Vice President (Student Administration) at Laureate International Universities. She also held various executive roles at Monash South Africa, founded by Monash University (Go8) in 2001. The campus grew from about 200 students when she joined in 2004, to over 4000 in 2016, when she was Chief Operating Officer. Nicolene is listed on the Princeton Global Network Top 100 Elite Professionals in the field of Education. This recognition is bestowed on distinguished individuals who demonstrates commitment to excellence in their careers and exemplary leadership in their communities. Nicolene completed her undergraduate degree in Education, honours degree in Human Resource Development and holds a Masters in Adult Education, all at the University of Johannesburg in South Africa. She recently obtained her Doctorate in Education in the field of Higher Education Management and Governance at the University of Liverpool in the United Kingdom.